The new generation NIULI fork lift trucks are designed with durable hydraulics clean and reliable engine, progressive brakes, smooth and cool transmission with unmatched advanced features and ergonomics which save time and effort. Environment friendly design, easy servicing and maintenance, high efficiency on the job as per the latest international safety statndards. 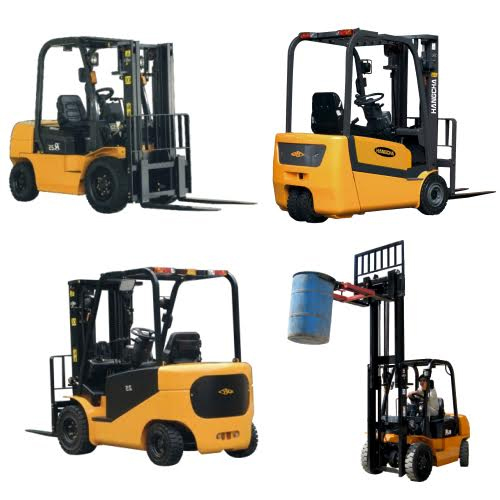 These fork lift trucks are designed for the most demanding applications. The hydraulic cylinder are fitted with the finest quality of oil seals and incorporate a cushioning mechanism for reducing noise and shocks. Advanced design, highly efficient control system and latest vibration reduction technologies provide extra comfort and ease in operation. Full floating type hood design and vibration reduction devices for steering axle enable a more comfortable operation. Advanced Electronic-Hydraulic Forward-Reverse control design in torque converter models ensures less time and less effort in performing various operations. The forklift uses advanced technology floating transmission designed to reduce the transmission vibration to the chassis of the forklift thereby reducing operator fatigue and improving riding comfort. The wheelbase design, gives much better longitudinal stability to the whole truck. At the same time, it results in longer life of the rear wheel due to reduced rear axle load. These Fork lift trucks are designed with a small turning radius and width so that the warehouse space can be utilized in the efficient manner. Newly designed combined type aluminium radiator enhances the cooling performance remarkably. The coolant temperature is reduced by 15% compared with other trucks. Special safety arrangements such as throttling devices in the pipe lines and special builtin hood lock device ensures extra safety to the equipment. These Fork Lift Trucks are simple and safe to use.